Dangerous drug passed around at Notre Dame Prep in Scottsdale. 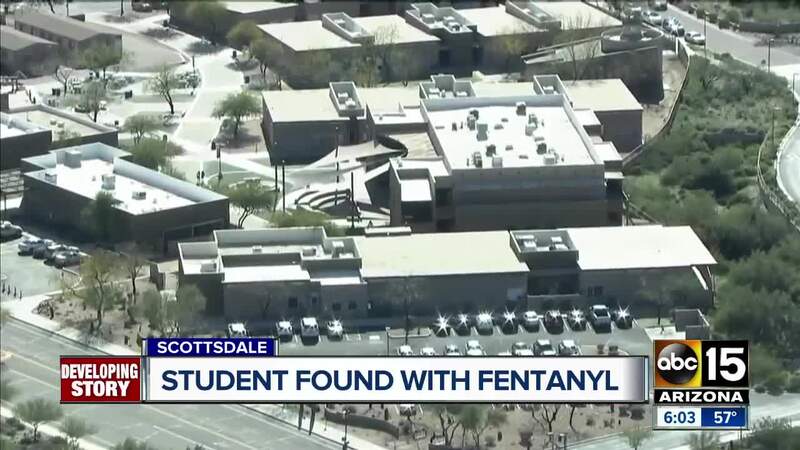 SCOTTSDALE, AZ — Police have arrested a 16-year-old Notre Dame Prep student for having nine pills laced with fentanyl. Scottsdale police and firefighters responded to an overdose call around 11:20 p.m. on February 6. They arrived to find a 17-year-old unconscious and unresponsive with other symptoms of an opioid overdose. After administering several doses of Naloxone, he was taken to the hospital and has made a full recovery. Police say officers learned the teen, who attends Notre Dame, obtained the pill from a classmate and a third student may also have one. The third student was found to be fine, and he denied ever having any pills. Police responded to Notre Dame the next day, February 7, and learned administrators had detained a 16-year-old identified as the one who provided the pill to the 17-year-old. Authorities searched the student's car and found seven pills and additional drug paraphernalia. Two more pills were found after investigators searched the student's home. Testing determined the pills are counterfeit prescription narcotics containing fentanyl. The 16-year-old was arrested for possession of narcotics and additional charges are possible, police said. The teen is being charged as a juvenile. Police say there is no indication any other pills were transferred to other students, though the investigation is ongoing. "We would like to take the opportunity to remind families to discuss with their kids the dangers of taking illegal drugs as well as prescription medications not prescribed to them," police said in a news release. "This incident could have been much more tragic and taken the life of a young man far too soon." 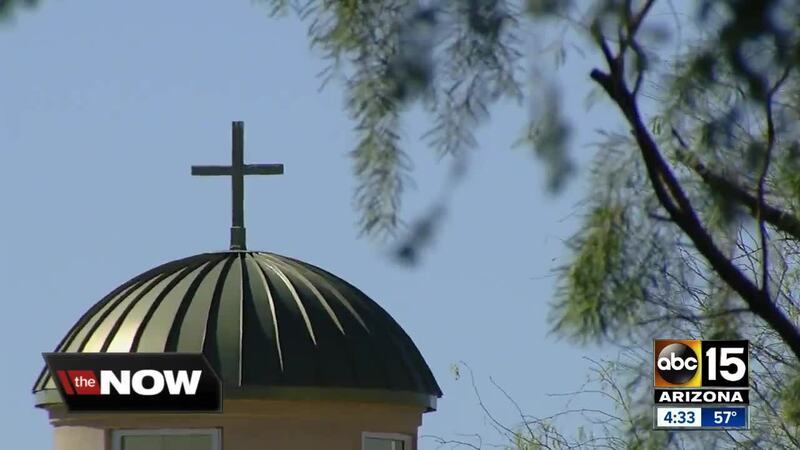 In a statement, the diocese of Phoenix said school administrators were contacted by Scottsdale police "regarding an investigation into the sale and use of illegal narcotics." "We consider the safety and welfare of our students to be our highest priority. We informed our parents and are cooperating with the Scottsdale Police Department and their on-going investigation into these dangerous substances," spokesperson Kim Haub said. In a letter sent to parents Monday, the Scottsdale Unified School District said there were no known ties to any of its schools or students. "Synthetic drugs and drugs being laced with other drugs have become an increasing concern nationwide and the Scottsdale Police Department confirms it has seen an uptick in the number of drugs laced with the extremely dangerous opioid fentanyl," acting superintendent John Kriekard wrote in the letter.